At the height of the storm yesterday, we watched a huge section of a dock flow by on the waves and current. It's probably in Boston by now! If the windows weren't covered, you could see all the neat stuff inside. The new snowblower is working great and we are connected to the world once again. 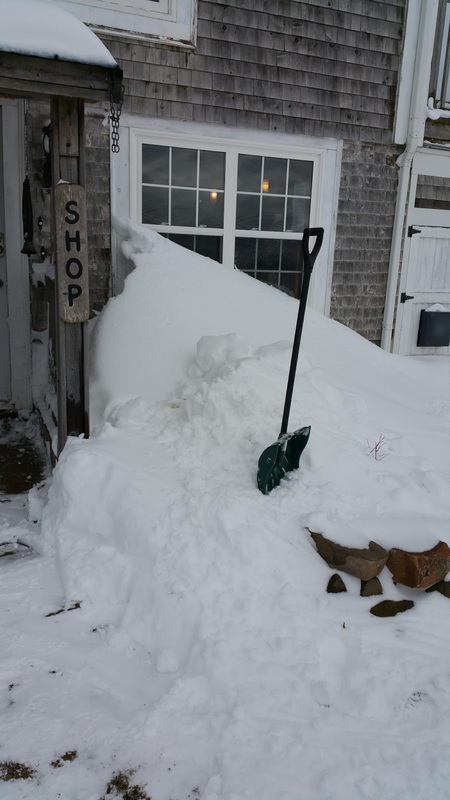 So when you come and see us next summer, think of that snowdrift as you walk in the door! Vickie is back on her polymer clay horse and has decided on the theme for her next collection. She is calling it predator and she is taking her inspiration from the teeth and talons of some pretty nasty beasts whose shapes she finds beautiful (go figure). The first in the series is the Mako. When we lived in Jacksonville Florida, Ponta Vedra Beach, actually, we used to find a lot of shark teeth. 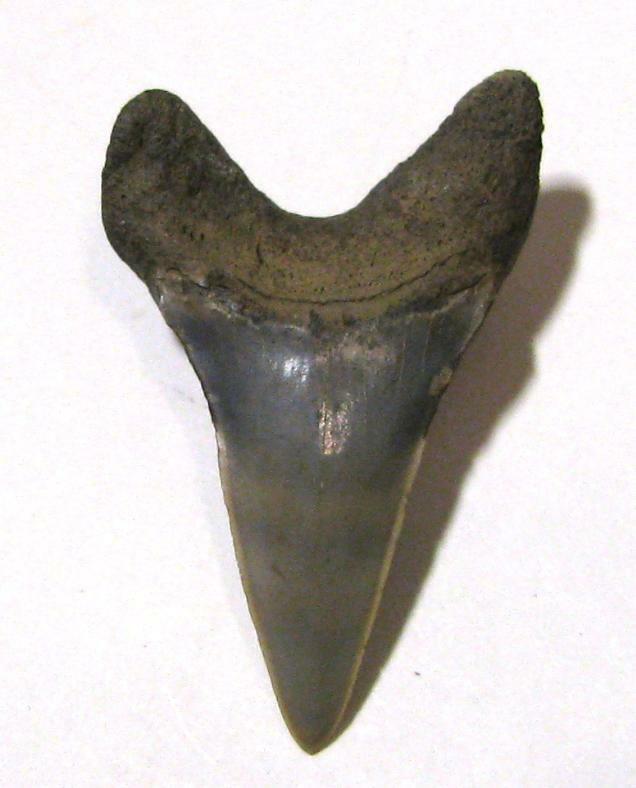 Each shark has a distinctive tooth design and the Mako's are particularly beautiful. So starting with this figure, Vickie hand cuts her own forms and uses several different polymer clay techniques to form representational shapes with unique and beautiful patterns. 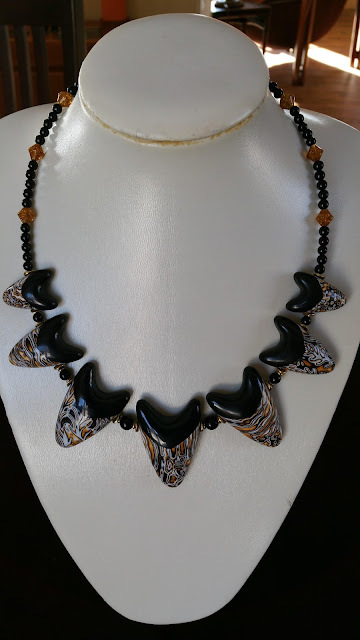 She then combines them with agate and metal spacer beads to produce a beautiful necklace. A set of ear rings, a bracelet and a pendant will complete the set and she plans on doing several in different colour combinations. The Mako Necklace - no two alike - collect the whole set! These pieces will be available in the shop next spring and will also be for sale on our new Etsy site (more about that in the next post). Out here on the Neck, the sun is getting stronger every day and most of the snow has melted. Although we are expecting a big snow storm next week, spring is just around the corner so make your plans now to visit our little piece of paradise out here on scenic Digby Neck. 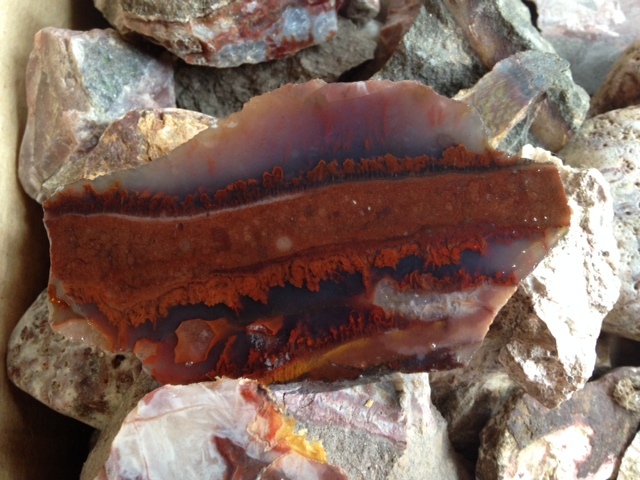 Many years ago, I worked as an exploration geologist, spending entire summers living in a tent. I loved it! Growing up, my family camped every summer and the experience gave me some of my fondest memories. Nova Scotia is basically one big camp site, and a fabulous one to boot! Each year, outdoor enthusiasts from all over the world come here to enjoy the outdoors. Out on "The Neck" we only have one campground but fortunately, it's a real beauty. Whale Cove Campground (located, coincidentally, at Whale Cove) gets its name from the numerous whale sightings nearby. It's a beautiful place which offers several different types of accommodations. Do you RV? They have large, easily accessible sites with water and electricity and a dump site. How about a rustic cottage They have them- with housekeeping! Campers have a wide choice of clean sites with a lot of amenities including free WiFi, a coin laundry, a small museum and lots more. Maybe you've never camped in a tent but would like to see what it's like. 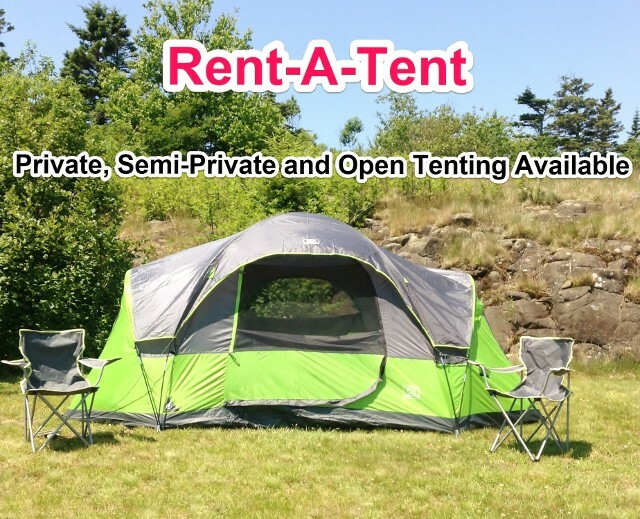 Well, they even have a Rent-A-Tent program so you don't need to buy expensive equipment before you try it out! 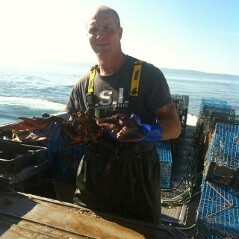 There are plenty of nearby places to eat and you can even get fresh caught lobster right at the campground! 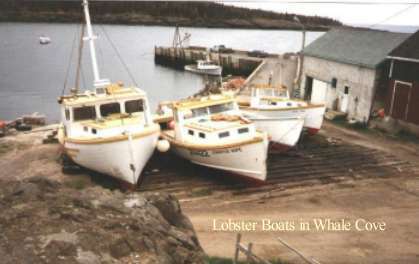 They even have their own lobster boat! And there's lots to do for the whole family. Beach comb for agates and sea glass on the rock beach, explore the coves and wharf and hike nearby trails. 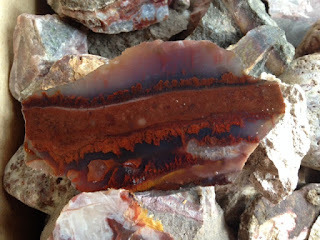 (And if you find a nice piece of agate, bring it to my lapidary shop at The Artist's Mark Studio/Shop and I'll cut it and polish it for you for a nominal cost. Guests from Whale Cove get a 10% discount on all our goods and services. Your hosts at Whale Cove Campground are Tina Frost and her family. If you want to see how big a difference super friendly, helpful hosts can make to your experience, check out the comments on the Whale Cove Campground web site. Stay at Whale Cove and maximize your Digby Neck Experience! And while you're here, stop by The Artist's Mark and say hi.